We’ve all heard the tale of the tortoise and the hare. 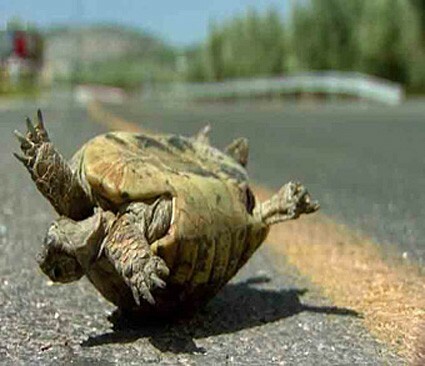 Of course the tortoise wins the race because he is able to persevere. In the beginning, however, it can seem very difficult, and the path seems fraught with traps that lead you back to mental and emotional states all too familiar. This is how the journey goes. The sooner you accept a mindset of perseverance, the sooner these mental jaunts into the past will seem like small pebbles on the road to be noticed and then left behind. A true sense of commitment to your growth is all that is needed to welcome perseverance into your life. It’s not about will-power or any other power for that matter; it is merely about knowing you are on the path to enlightenment and nothing is going to stop you. Be like the tortoise and make your commitment to your own higher consciousness now.